Taking Territory creates respect and raises your position in the pecking order. You can gain the right of passage to be accepted in the horse world as a leader. Taking Territory is not about chasing a horse around; it is about Taking Territory away from a horse. All animals in nature experience the loss of territory in social interactions and it is what builds their character and social behavior to fit in and be responsible in the community. 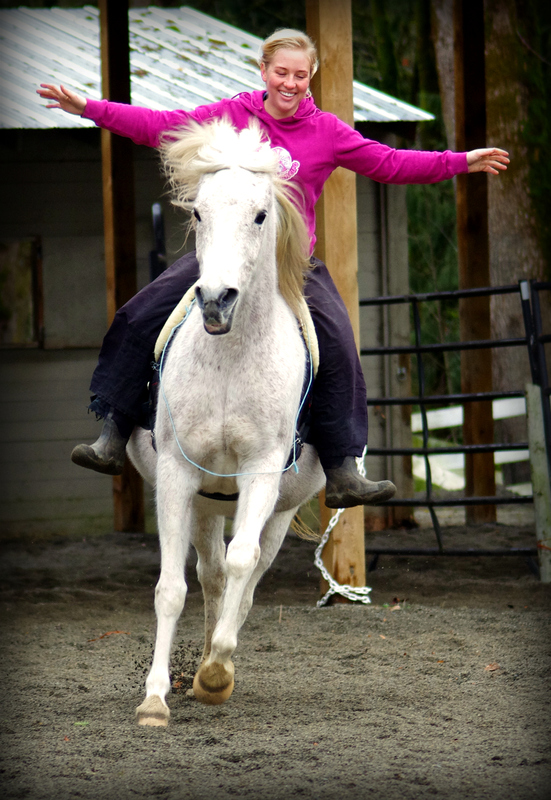 You can Take Territory easily with a horse by surprising him in order to initiate his flight response. However, you can only do this if the horse is not looking at you and not paying any attention to you. Taking Territory Ritual is a ritual which is seldom used without my guidance and that is a good thing. In most cases it would not be applied properly, in the way it needs to be applied, without proper coaching. You do not need it at all in order to train a horse with my method, though it does have its place in the right hands. When Taking Territory the horse is never touched, but only encouraged to move forward by being surprised. This causes the horse to take off by responding to his flight instincts. The horse is only scared for a second and when he finds out it is you and your purpose was to Take Territory, he is instantly relieved and wants to join you showing no fear at all, along with having a new healthy respect for you! My Dad told me that whenever force comes into the picture with a horse, you better know what you are doing. My father left me alone with horses as a small child so he had to feel comfortable about my safety. The rules he laid down in order for me to stay safe with my horses was to only work with a willing horse and never try to force him to do anything. My Dad felt that as long as there was no tack involved, and that I never asked a horse to do something he wasn’t willing to do, chances were that I would be safe. Wouldn’t it be nice if more horsemen took this approach? Taking Territory is one of those things where you need to know what you are doing. Taking Territory by surprise activates the flight instinct of the horse! Allot of my students and readers may object to this ritual, but the good news is that this ritual in no way needs to be used to get a perfect relationship going with most horses when using the Waterhole Rituals. However, there is true magic in this ritual for some horses. If done properly, this Ritual will return the free spirit of the horse. It also will bring out his herding instincts to want to connect with you. 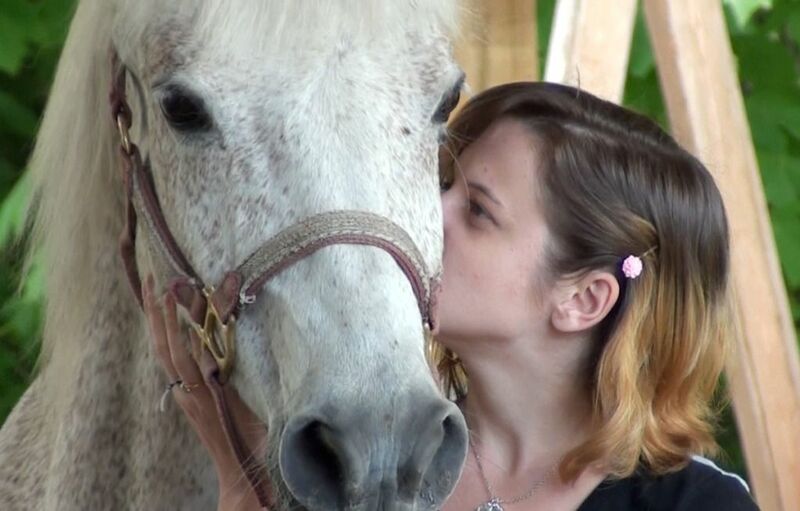 Many people have brought horses to me so that I could use this Ritual on their horse in order to bring back the horse’s spirit, willingness and innate personality. Taking Territory from the horse brings back his natural instincts and he learns to have a care taking nature rather than a self serving bully nature, in regards to you. A bully nature is a natural behavior to most all creatures on earth including humans, until they learn social adjustments and consider the feelings of other living beings. When this happens their behavior and character are developed. Most children are bully’s by nature until they are properly guided in social awareness and sensitivity, which in turn will bring out proper conduct without having to manage it. A surprising thing is that a sweet horse can also be a bully. Sometimes we overlook this. The way this happens is that the good natured horse becomes the center of attention and he learns how to take control, not paying any attention in how he needs to fit in with others. It isn’t the sweet horse’s fault. What happens is that the sweet horse didn’t have to make any social adjustments, so therefore he is socially inept and will push people around until he is developed socially. Each horse is different in how you approach gaining respect when you need it. Some horses you cannot use this ritual with because they are aware of where you are at all times. So these horses need to be handled differently. When the timing and approach for Taking Territory are done appropriately your horse will respect you and want to follow your lead with a shocking positive result. If this does not happen right away, your timing and approach is off and you need to stop this pursuit. Taking Territory isn’t something that you drill. The result of experiencing Taking Territory, in my Method, is a deeper connection and willingness that is fast and immediate. The quick results only take about two or three attempts and than your horse will want to be completely in your pocket and he will begin to try to win your favor. He will be all about you, though there might be times that you will need to reestablish your position with this Ritual. The reason for this is that leadership in animals fluctuates and the pecking order does too. Your position is not set in stone. Here are some reasons why you do not want to do this ritual without the proper guidance:? 1. It could break the bond you already have for good if done incorrectly. 2. Your horse might become too upset from not being approached in a timely manner and that would cause you to receive no benefit. 3. Your horse might take offense to you asking and become aggressive. 4. You might not be ready for, or capable of, carrying out the Ritual in the proper manner. 5. You could run up to your horse too closely and your horse could charge backwards and kick you. Does your horse love you? Do your horses come when they are called? Do they show you where they’d like to be itched? Do they follow you wanting more? 1. Give your horse a reason to come when called – a healthy treat (black sunflower seeds are a great low sugar treat) or a bucket feed/hay, some nice grooming/itching and no riding or leaving friends for a while, can make a big difference. 2. 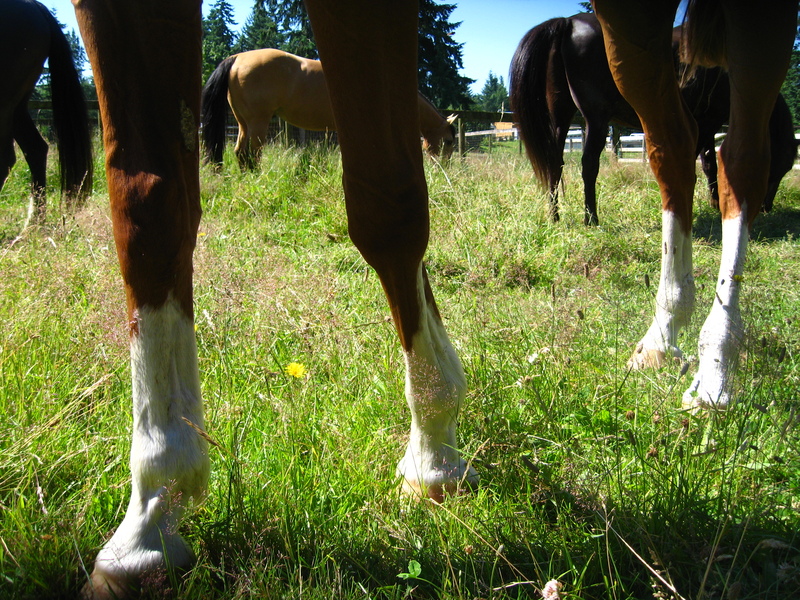 Find your horse’s itchy spots – the ones that make their nose wiggle! Start on the neck, under the mane, around the withers and shoulders before venturing to sensitive areas such as under the belly, between the back legs etc. – take note of any sore or ‘don’t touch me there’ spots and perhaps get an equine body worker to investigate in case there’s a physical issue. 3. Choose from this list of Top Ten Fun Things to Do with your Horse. It is surprising how easily many riders and horse owners lose track of what’s so grand about horses in the midst of the pressure of competition, economic stresses, and time crunches. All too often we get caught up in the day-to-day “grind” of keeping horses —the ritual feeding, watering, and ….. We have to take a moment to remember that, more than anything else, being with horses is FUN. Most of us came to horses because we love them, and because riding and working with them brings us joy, peace, and fulfillment in ways that little else in life can. It is important to remind ourselves not to take horses and riding JUST seriously. Read the rest of this article from Trafalgar Square Book’s Blog here. 4. Or if you really want to focus on the relationship and take it to the next level, check out www.friendshiptraining.org – where people learn to be the friend their horse wants them to be and a whole lot more in the process. THE POWER OF PLAY WITHOUT PRESSURE.. Sometimes we as riders, lose sight of the concept of riding just because we love it. We get stuck in the rut of thinking that we always need to be doing something ‘worthwhile’ like schooling, training, working towards a showing event or sometimes even that awful ‘obligatory feeling’ of having to ride because we feel bad that we haven’t ridden enough and our horse needs to ‘get out’. I guarantee you that your horse doesn’t care about all these reasons in the slightest. The only thing he can really appreciate is when you spend quality one-on-one time with him. No pressure, no expectations, no rules or preconceived ideas… just being one with him.